Lead time is the amount of time it takes from the moment a customer places an order to the moment the product is out for a delivery. This includes any time taken to manufacture materials for the finished product or the time it takes to receive the materials. All activities, wasteful or not, add up to the lead time. Consequently, it's beneficial to reduce waste to shorten lead times by implementing Lean strategies. 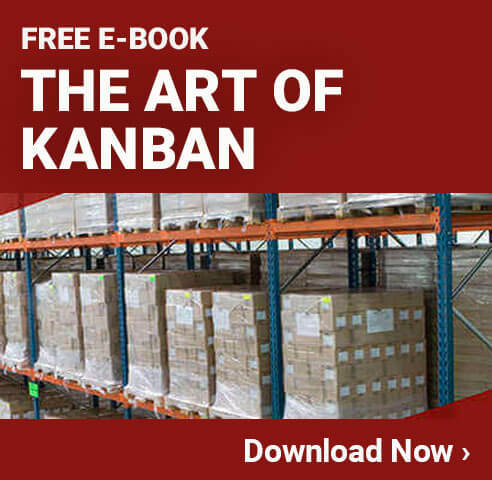 For instance, utilizing the Kanban system will alert the appropriate time to replenish supplies before it runs out, effectively reducing lead. When the lead time for a product is short, the company that makes it can hold fewer finished goods to fulfill orders, effectively reducing the waste of excess inventory. 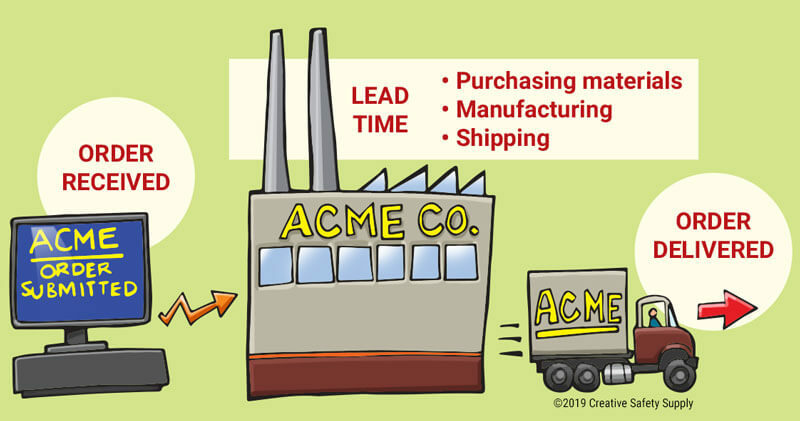 Understanding lead time and knowing a facility’s lead time is extremely important to workplaces using Just-in-Time manufacturing or practicing Lean manufacturing as the two are closely intertwined. 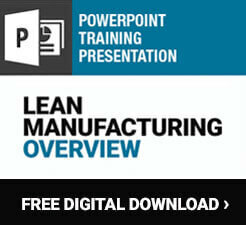 Lead time can be utilized alongside other Lean tools, like value stream mapping. During mapping, one can count the inventory at each step of the operation and work with the Lean team to identify areas that are wasteful and could be streamlined to reduce lead time and an overflow of inventory. Excess inventory is waste, presents quality issues, takes up extra storage, and costs more money; reducing inventory on hand will decrease lead time. Managers should know and understand the status of inventory levels, while being mindful of cost and the replenishment lead time. If Company X receives an order from Customer Y for Product Z every 3 days, but lead time for that product is 5 days, the company will need to have extra inventory on hand to fill those orders. If the lead time is shortened to 3 days, however, the company no longer needs to hold that extra inventory to meet customer demand because production can keep pace with customer orders.